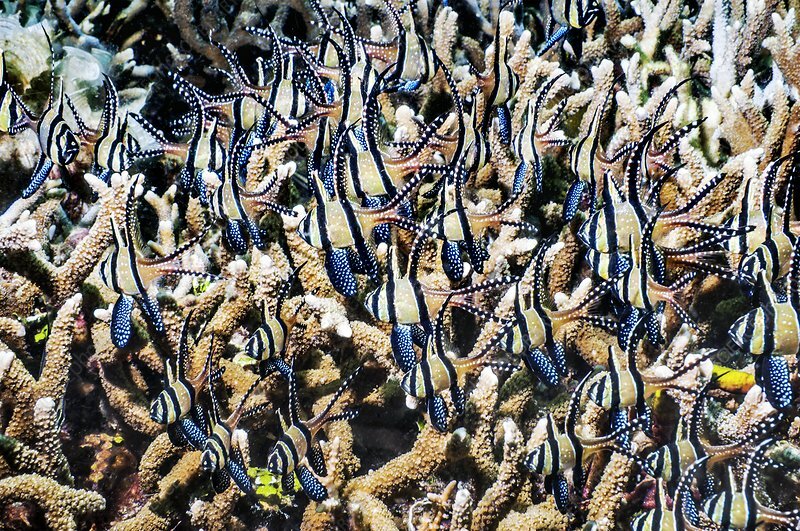 Banggai cardinalfish (Pterapogon kauderni). Until recently, these fish were only known from the Banggai Islands, central-east Sulawesi, but are now abundant in Lembeh Strait. This is probably due to escapees or releases from the aquarium trade. Photographed in Lembeh Strait, North Sulawesi, Indonesia.